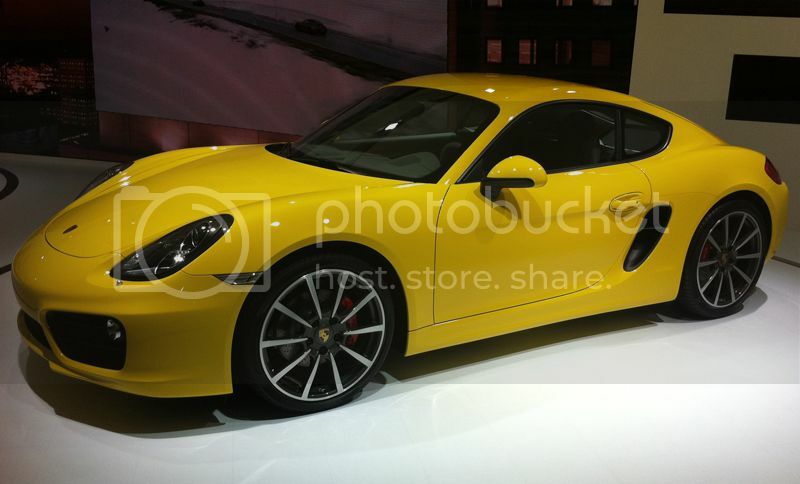 New Cayman looks even better! This is going to be a hot seller. Cayman looks even better in Danger Yellow! In yellow, it looks more bimmerish than ever. They're all being released with 19 and 20 inch rims. That's gonna be an expensive replacement issue. Last edited by RandallNeighbour; 11-30-2012 at 04:00 AM. I love looking at these new Porsche's with the same mindset, "oooh, that's going to be a great car to own in 4-5 years"
Replacing the curves with creases makes these look much more Ferrari-ish. In person these cars are much bulkier than the previous models too. I sat in with Jan Roth, project manager for the new 2013 Cayman at Tech Tactics West as he discussed specific design goals for the car. It does have a 2" longer wheelbase and stance is a bit (1/2")? wider than the 2012 Cayman but up to 90lbs lighter depending on options. We did a thorough walk around with him and I sat in the car. I might look good in this one. Still want one? I don't see $60k in added value. I'm keeping my '01S. 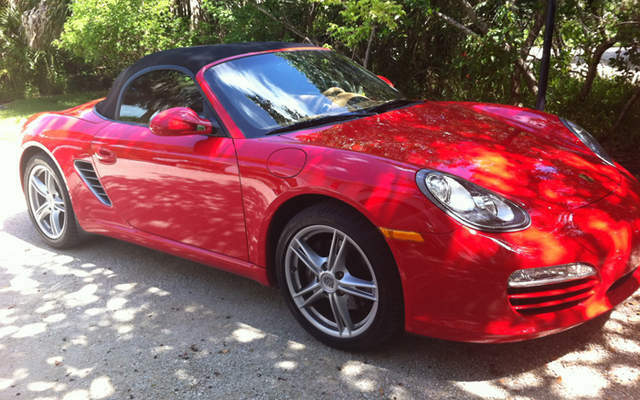 Does anyone know if the new boxster has a hard top option? Cayman looks nice, but struck me as more Audi or Beamer than Porsche though. Someone mentioned the creases replacing the curves and I think that might be it. I was at the dealer last week (to get a key fob programmed) and I asked about the hard top. The saleswoman explained that the top is fabric stretched over a hard material and is more like a hybrid. They don't offer the hard top anymore. Reminds me a little of an F 599 GTB. 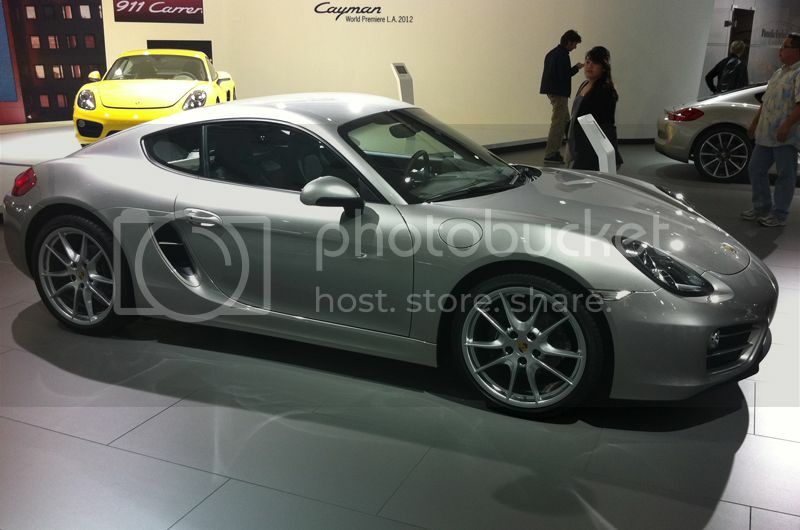 I would love to own a 981 Cayman. 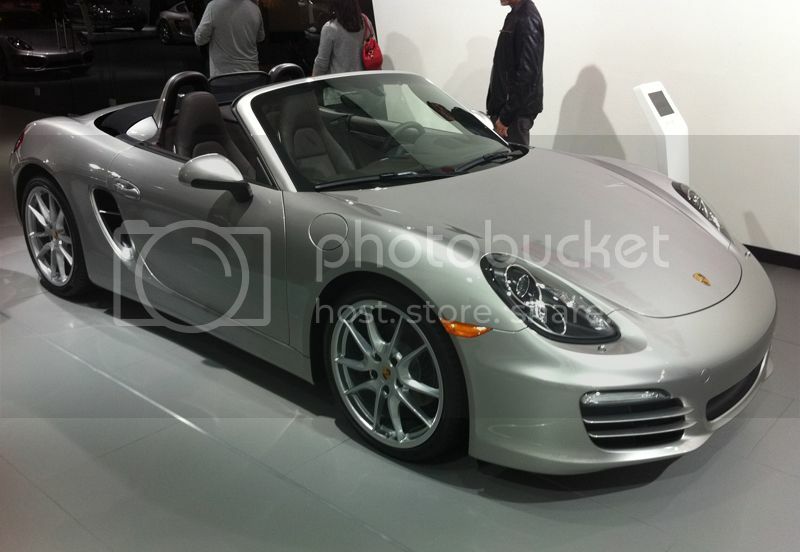 In real life, the 2013 Boxster doesn't look different enough (IMHO) from my 2009 to warrant a change. The 2013 is better in pictures, but the difference in side vents doesn't seem that prominent when you see it.